Human to AI interactions have become pretty commonplace with the ubiquity of natural language processing (NLP) devices and systems. I can ask my home assistant to set a timer, purchase things, get me a cab, or tell me a joke. I can ask my phone to get me directions or send a text for me. Being able to do these things hands-free demonstrates the power of Natural Language Processing to understand, analyze, and generate human speech. By Sudipto Ghosh, published at AiThority on Dec 24, 2018. Data Day Texas, now in its 9th year, is an Austin tradition for data geeks in the area. 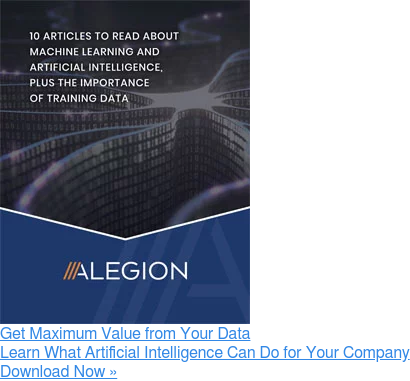 While the conference has always focused on data generally, the organizers found that AI has grown so much in popularity that it justified turning the one-day event into a two-day event, with the first day dedicated to AI. And that’s why we’ll be at Texas AI Summit. Artificial Intelligence continues to be one of the hottest and most controversial topics covered by technology analysts and researchers in 2018. By the end of the year, most of us use some form of AI in our individual lives everyday. Everytime we ask Alexa how many tablespoons are in a cup or follow a recommendation made by Netflix or Amazon, we are interacting with and using AI. in fact, everytime you follow a recommendation you are training that AI, ensuring it makes better and better recommendations for you over time. There are those who believe that creating massive amounts of high-quality machine learning training data is a job best left to small teams of very expensive data scientists. For them, we offer Best Practices for DIY Data, a guide to training data in-house. 2018 was big year for Artificial Intelligence. AI, Machine Learning, Natural Language Processing, robots, drones, data… it was all in the news, all of the time. “Human-in-the-loop” is an increasingly popular way of describing the application of human judgement to AI training. And of course, for some types of AI training humans remain an essential ingredient. "But who are the humans in the loop?" people often ask, and it's a reasonable question. Lots of machine learning projects involve proprietary or otherwise sensitive data. And some projects involve data that can only be viewed by people with particular credentials or levels of security clearance.